104th day of the year with 262 days to follow. 1742 George Frideric Handel’s “Messiah” performed for 1st time (Dublin). 1796 First elephant arrives in US from Bengal India. 1860 First Pony Express reaches Sacramento, California. 1870 The Metropolitan Museum of Art founded. 1902 JC Penney opens his first store in Kemmerer, Wyoming. 1943 The Jefferson Memorial is dedicated in Washington, D.C., on the 200th anniversary of Thomas Jefferson’s birth. 1957 Due to lack of funds, Saturday mail delivery in the US is temporarily halted. 1958 Van Cliburn is the first American to win the Tchaikovsky Competition in Moscow. 1963 Sidney Poitier becomes first black man to win Oscar for Best Actor (Lilies of the Field). 1970 Apollo 13 announces “Houston, we’ve got a problem!” as Beech-built oxygen tank explodes en route to Moon. 1974 Western Union (in cooperation with NASA and Hughes Aircraft) launches the United States’ first commercial geosynchronous communications satellite, Westar 1. 1976 US Treasury Department reintroduced the two-dollar bill on Thomas Jefferson’s 233rd birthday as part of the US Bicentennial celebration. 1979 Longest doubles ping-pong match ends after 101 hours. 1997 Tiger Woods becomes the youngest golfer to win golf’s Masters Tournament. The two inventors of the bungee rope went to Spain to test their invention. They built a 50-foot tower and, once completed, one of the guys stood on the edge of the platform and dove into the air with the rope tied to his feet. The other guy, standing up on the platform, waited until his friend returned up so that he could grab him. when he leans over to take a drink, he falls into the creek– Splash! swims over and says, “Lemme help ya there little buddy”, and pushes the Lizard back to the creek bank. God saw that there was much evil on earth and sent an angel to check it out and report. them a little something to help them keep going. Oh, you didn’t get one either, huh? pic of the day: Someone clearly has a sense of humor. . .
~Why didn’t the turkey cross the road? Because he wasn’t chicken. ~Where do you find chili beans? At the North Pole. ~Who don’t penguins fly? They’re not tall enough to be pilots. ~How do you define a will? It’s a Dead Giveaway. ~The man who had fallen into an upholstery factory is now said to be fully recovered. ~Your debt will stay with you if you can’t budge it. Normal people believe that if it isn’t broke, don’t fix it. Engineers believe that if it isn’t broke, it doesn’t have enough features yet. This guy had a problem of oversleeping. He was always late for work, and his boss was getting mad. So he went to the doctor and got some pills that were supposed to help. That night he slept well and woke up even before the alarm! He had a leisurely breakfast and drove happily to work. * All great discoveries are made by mistake. * Tell a man there are 300 billion stars in the universe and he’ll believe you. Tell him a bench has wet paint on it and he’ll have to touch to be sure. * Nothing ever gets built on schedule or within budget. * All’s well that ends. * A meeting is an event at which the minutes are kept and the hours are lost. * A computer makes as many mistakes in two seconds as 20 men working 20 years make. * Nothing motivates a man more than to see his boss putting in an honest day’s work. * After all is said and done, a heck of a lot more is said than done. 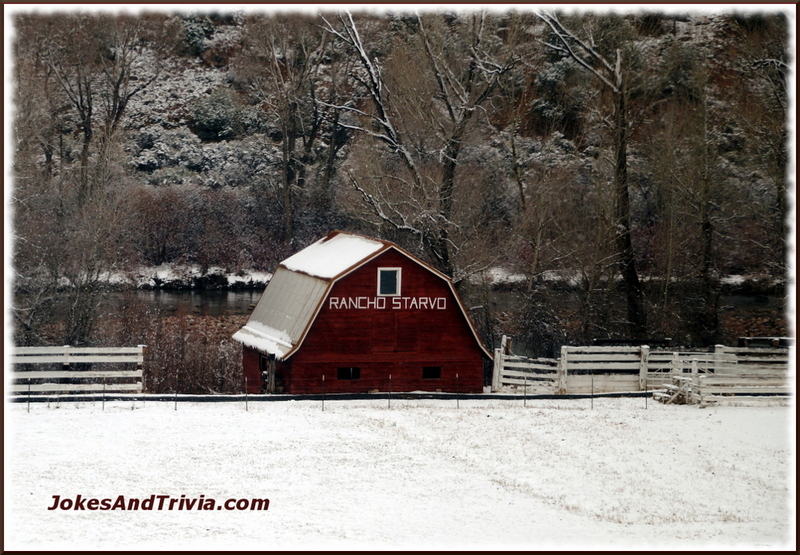 TODAY IN TRIVIA: Which planet has a longer day than year? Venus is the planet that turns most slowly on its axis. It spins once every 243 Earth days. Since Venus takes 224 Earth days to complete one orbit of the Sun, its days are longer than its years.